Thanks to Congressman Frelinghuysen & our Wall Street Financial VP for sending two URLs that provide more info re ObamaCare that will eventually impact all of us - including those who currently have perfectly good healthcare insurance. These are the people who will pay the taxes that provide the subsidies & Medicaid so the uninsured obtain coverage. Initially the people being impacted are the 19 million who buy healthcare insurance on the individual non-group market. Health Affairs (the health policy journal, known as "the bible of health policy," that publishes original, peer-reviewed research & commentary) found that over half of such policies are considered inadequate by the ObamaCare legislation – owners of these policies are the people who are getting the cancellation letters from their carriers. Congressman Mike Rogers said that since October 1 we have had more people lose coverage than have signed on using the troubled exchanges. The above URLs concentrate on serious pricing problems on the government website discovered by CBS News & others. The problem centers around the website providing only two points for people to check – those "49 or under" (which provides pricing only for a 27 year old) & those "50 or older" (which provides pricing only for someone who is 50). It doesn't take much imagination to see where someone using the prices for a 27 year old will be mislead, if they are in their 40s, when they get their real pricing or where someone who is in their early 60s will be shocked when they get their real pricing instead of that of a 50 year old. Examples provided: 1) a 48 year old ineligible for subsidies thought she would pay $231 per month per the government website but her actual cost is $360 per month, & 2) a 62 year old's price per the government website is $394 per month & the actual price is $634 per month. At the end of this post I provide a table composed by the Heritage Foundation that shows the average one month premium change on a state by state basis for people buying healthcare insurance in the individual non-group market compared to buying it on the ObamaCare exchanges. Please note that the table does not include any subsidies that could be received by some people, the non-group price may not include all of the coverage mandated by ObamaCare, & in some cases insurance was not available in the non-group market before ObamaCare for people with pre-existing conditions – so do your own analysis to see where you fit into all this – i.e., whether you will receive a subsidy or whether you will be paying through your taxes for someone else to receive a subsidy. Under ObamaCare it is estimated that more than half the uninsured will qualify for subsidies, another 38% will qualify for Medicaid, & 10% will pay the full rate shown on the Heritage table. See chart immediately below that shows the distribution of the nonelderly uninsured as a percentage of the federal poverty level. The subsidies decrease on a sliding scale as your income moves closer to the 400+% of the federal poverty level @ which level the subsidies are eliminated. premiums, high deductibles, learning we cannot keep our doctors in many cases, & of course higher taxes that no Democrat cares about could very well just be the first wave of what will become single payer universal healthcare. It is almost like ObamaCare has been designed to fail & when it does there are two alternatives & both of them scrap ObamaCare – 1) go back to some form of a regulated free market system, or 2) move to a single payer universal healthcare system. Click here to hear why we don't want to go to a universal single payer healthcare system – I sum it up this way: The statist's plan is to make people totally dependent on government - both financially through taxes & physically through universal healthcare. See O'Reilly Factor memo below from last Tuesday for more on this. As employers drop employee healthcare insurance coverage & either pay the fine or as is more likely reduce employee's hours to make them part timers thereby avoiding the fine (this hasn't happened to any significant degree yet because BO waived the employer mandate until 2015 & employers don't have the incentive to reduce hours yet – the large number of part time employees has been caused by BO's purposely designed poor economy & is not yet the result of ObamaCare) many more than the current 19 million Americans will be thrown on to the exchanges. This will result in a further increase in taxes paid to pay for the additional subsidies & enrollments in Medicaid – a current example of single payer healthcare. More & more Democrats are all of a sudden calling for delay in ObamaCare. A one year delay saves unsuspecting people what is currently being served up but it also puts the further implementation of this horrible law after the 2014 mid-term election which gives the Democrats a chance, with the pathetic amount of attention voters pay, to win the House & hold onto the Senate – a disastrous combination for America concerning BO's last two years in office with only minimal checks & balances here & there across the country. Although it is unkind to continue to unleash ObamaCare on the citizenry it is really the only way to get the attention of our apathetic society to see if they are capable of doing something about it for ourselves & our Posterity. "With ObamaCare descending into chaos, the President & the Democratic Party are in a perilous place. Americans are starting to figure out that the government-controlled healthcare industry is likely to be a nightmare. So why won't the feds fix the situation before imposing it on the people? The answer is that ObamaCare is just part of a vision for the forced sharing of assets. The strategy is largely kept quiet, but there have been hints. MSNBC host Melissa Harris-Perry has said, 'You do have a right to healthcare & to education & to decent housing.' That is a socialist-communist vision, that the state should provide all citizens a certain lifestyle @ the expense of other citizens. If healthcare is a constitutional right, then everything associated with good health would fall into the civil rights category. So your entire environment – house, food, clothing, transportation, mental health – would have to be paid for by the state if you could not afford it. In order to provide for the have-nots, the far left wants the government to seize the assets of solvent Americans. That's what ObamaCare is all about – taking from those who can afford healthcare to provide for those who cannot. Talking points believes most Americans don't understand what's going on in this country. 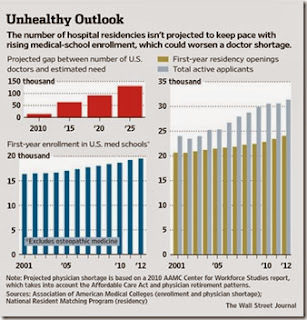 The USA cannot afford to pay for ObamaCare unless working Americans give up more of their assets. In some cases, much more." We had to pass the bill (ObamaCare) on March 23, 2010 & we had to fund it on October 17, 2013 to continue finding out what is in it - to paraphrase Pelosi. Click here to hear National Review's John Fund appearing with James Taranto & Scottie Nell Hughes on Lou Dobbs FBN TV program present the following ObamaCare specifics that may not go down easily even with an unsuspecting apathetic public. 1. Washington state became the fourth state to get its own insurance exchange up & running. So far 13,000 people in Washington state have signed up for healthcare insurance & 80% of them qualify for Medicaid. This is another indication that the young, affluent, healthy, low insurance risk people needed to fund & sustain ObamaCare & distribute & dilute the insurance risk of the high insurance risk people entitled to subsidies under ObamaCare are not signing up. Two & one half million young people 18 to 35 are needed to participate in the program by March 31 for it to statistically work. 2. In signing your income tax return (Form 1040) next April 15 you are confirming that you had signed up by March 31 for healthcare insurance suitable to the government. The IRS administrative paperwork requires you to prove you had coverage by February 15 or you will be fined. See the problem here? – well BO's administration finally did on Wednesday when they clarified the matter by saying the March 31 deadline would control. Just hope the IRS gets the memo. People who have successfully signed up for insurance on the exchanges are reporting deductibles of over $4,000 for individuals & $8,000 for families before coverage of 60% for a bronze category plan starts & 90% coverage for a platinum plan starts. This is reminiscent of Medicare where you need supplemental insurance to cover the 20% Medicare doesn't cover – in other words with government insurance you need additional insurance to cover what isn't covered – medical expenses that could bankrupt the majority of families if incurred. It is estimated that over 80% of those buying insurance on the exchanges will qualify for government subsidies in the form of tax credits & that people with incomes up to 250% of the poverty level will qualify for cost sharing subsidies that will reduce their deductibles. It is the taxpayer who is doing the cost sharing. 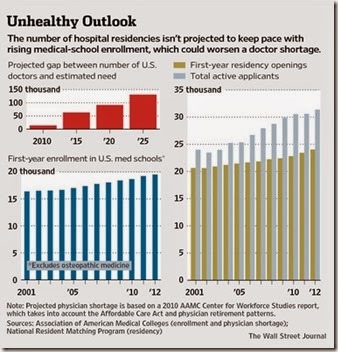 The graph above shows the projected shortage of doctors. ObamaCare is not insurance – it is the regulation of the insurance business. Healthcare insurance does not mean you will get healthcare. Although ObamaCare has tormented us for four years on a national level please remember that the states have had their fingers in healthcare insurance for years as evidenced by my letter below published in the WSJ on December 20, 2007. With regard to the part of Merrill Mathews excellent op-ed entitled "A Health-Insurance Solution" please recognize that there is another side concerning states mandating what an insurance plan must cover. As a resident of NJ I could not buy the private catastrophic health insurance policy issued in another state that fit my needs because the policy I preferred was considered inadequate by the NJ legislature. I had to wait three additional years to retire with coverage under my employer's retiree policy that was suitable to the legislature thereby cheating me out of three years of early retirement. 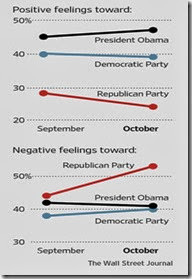 The above graph is part of a very controversial WSJ/NBC News Poll conducted October 7 to 9 that was headed jointly by Democrat & Republican pollsters to learn the mood of the country regarding the government shut down & debt ceiling problem – both of which were unresolved when the poll was conducted. The controversy centered around both Texas Senator Ted Cruz & radio talk show host Mark Levin not believing the results of the poll that showed not only deteriorating results for the Republican Party concerning the handling of the shut down & debt ceiling matter but an increase in positive feelings toward BO & a decrease in his negatives. Their challenge is that the poll over weighted the responses of government workers & their families. I know many of you in this readership saw &/or heard their challenges. After reading the entire poll online I found there was such an apparent overweighting so I contacted the reporter who participated in the poll. The reporter not only answered the apparent statistical overweighting contention to my satisfaction but he gave me valuable insight into the findings of the rest of the poll It was explained that the category defining "government workers" includes military personnel & their families which brings the weighting of respondents into statistical line. It is not just the predictable result that the Republicans would get the blame for the shut down & debt ceiling scare but that these pollsters saw a dramatic doubling since September in the number of people who see the economy worsening – these same people had an increasingly positive feeling toward BO (see top of above graph) as they realize they may need government help if they are not already getting it. There was a large jump in support of the government doing more to solve peoples' problems & in a boomerang effect there was a slight uptick in support for ObamaCare – that is the ultimate insult to Cruz & his followers who vow to fight on (see list that follows of 18 senators & 144 congressmen who voted against reopening the government, raising the debt ceiling, & funding ObamaCare – please note that Oklahoma Senator Tom Coburn was against Cruz's tactics but still voted "Nay" on the Senate floor). The reporter told me "That gap (between the number of Democrats & Republicans) appears to be widening. It may widen still further if the findings of this poll reflect a reality that hardens." In the June 16 post NJ & VA Candidates In The Electoral Spotlight Need Tea Party Support I wrote "Now Virginia is in a much better position than NJ in that Ken Cuccinelli (Lonegan's friend) is running for governor with a good chance to win in that he has won elections in VA before although his last election for state senate in 2007 was a squeaker. Ken was elected AG in 2009 & is running with E.W. Jackson for lieutenant governor." 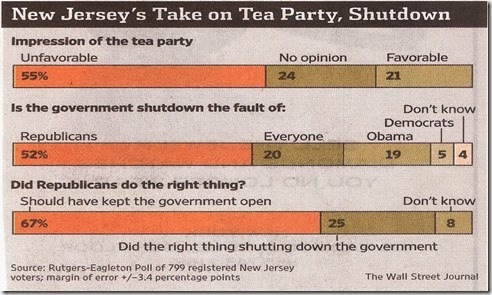 The Tea Party being blamed for the federal government shut down is not the type of support I meant. Some 30% of the electorate in Virginia lives in northern Virginia in the Washington suburbs & these people were adversely affected by the shutdown. Now Democrat gubernatorial candidate Terry McAuliffe is no more a Virginian that Hillary was a New Yorker during her Senate run but McAuliffe is now favored to win. Hillary has endorsed McAuliffe, raised money for him, & knows Virginia is a must win battleground state in the 2016 presidential race – just think how many times BO & Mitt were seen in Virginia this time last year. Bill is also going to campaign with McAuliffe. Hillary is counting on McAuliffe winning the governorship & retuning the favor to her by controlling every political apparatus a sitting governor can in her favor in 2016. I have heard lately that the Dems are playing chess & the Republicans are playing checkers – well make that Chinese checkers. At least in checkers you use the same board as chess. We are losing ground. We are not gaining ground. Tea Party candidate Steve Lonegan's strategy for winning Wednesday's special NJ Senate election was set right @ the start – work his fingers to the bone to get out his base & hope for a low turnout. There never was a doubt how hard Steve would work & he did not disappoint in this regard – he barely slept during the entire campaign travelling tirelessly from one end of the state to the other. Steve got his base out in an election that had 24% turnout of registered voters – pitiful for "by far the most important & consequential political event since last year's presidential contest." Steve lost 55-44. Had the turnout been higher I believe the margin of loss would have been greater – Lonegan got his base to the polls & his opponent, Cory Booker, barely knew there was a contest going on being out of state on many occasions as Steve pointed out every chance he had. Also, Biden passed up a Booker campaign appearance to play golf instead in Washington. But there was plenty of money coming in for Booker – a lot from Hollywood. 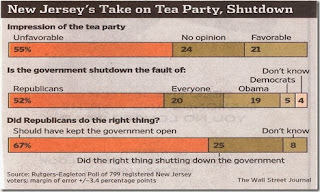 My analysis of recent contests is that 44% is all the last three top notch Tea Party candidates that ran on the Republican ticket could muster in NJ – Anna Little @ 44% in her congressional race in 2010 before falling to 35% in a repeat of the same race in 2012, Mike Agosta @ 40% in his congressional race in 2010 after putting in six figures of his own money, Steve Lonegan @ 42% in the NJ governor's primary against Christie in 2009, & now Lonegan again @ 44%. Based on knowing these three candidates, working directly with them, & actually working for them I can attest that you could not find three better people for America. One of the common themes in all of above listed races is that the Republican establishment provided next to no help in any of the races except possibly Anna's second try where she did even worse than the first effort that had no Republican help. Lonegan was outspent 8 to 1. Lonegan did have campaign help with visits from Rand Paul, Sarah Palin, Rick Perry, & Mark Levin – none of which are establishment Republicans. So what does such defeats & the above graphs tell us? 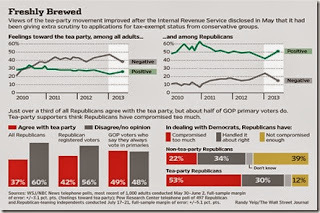 To me it says that the Tea Party which really stands for our liberties & founding principles (Tea Party Patriots goal – "constitutionally limited, fiscally responsible government where free markets thrive") is not wanted by the majority of the electorate – the first graph shows 27% of all adults had a positive impression of the Tea Party even right after the IRS scandal broke last spring. Do your own analysis of the graphs – there is a lot of information on them. Most Americans have replaced their love of liberty with the imagined promise of security & they view BO's government programs as security to protect them from the ravages of the capitalist world that BO's policies have produced. As the monthly unemployment figures & weekly initial claims for unemployment insurance continue to be terrible people are not wanting to replace the cause of these ravages – namely BO's intentional economic design – but rather are running to it for protection. At this late stage of Death Of Democracy the opposite economic instincts of survival of what took place in the other stages are appearing (e.g., after the terrible economy of the late 1970s people replaced Carter with Reagan – if Carter had the current American mindset & as many government programs as BO has Carter would have won reelection in 1980). None of this worked in Lonegan's favor. Now there is one very prominent Republican in NJ who did not help Lonegan – Chris Christie. Christie had the option of holding the election – which was handing the Senate seat to Booker – or he could have appointed Lonegan to finish the vacant term starting last June. Christie's chose the election route & made a lukewarm endorsement of Lonegan. Now if Christie really endorsed Lonegan why didn't he just appoint him to fill the last 18 months of the vacant term? Who knows - people in NJ may have found that they actually liked Lonegan & if not he could be replaced in 18 months. But Christie's goal is to win his own reelection in three weeks by a large margin thereby cementing himself in his mind in the 2016 Republican presidential field. As Christie said in the quote above – there is a "clear choice" to be made between Lonegan & Booker - & Christie made his. Steve Lonegan is too good for NJ. The continuing resolution (CR) & debt ceiling deadline provide an excellent opportunity to solve our financial problems if we were all on the same team. We could all look @ the subject matter & arithmetic involved & come up with any number of plans to put our country back on a strong economic footing – use the above table as a basis to see how easy it is to determine your own plan assuming we are all on the same team. The fact that we never have tried to solve our fiscal problems any other time the CR &/or debt ceiling deadline came up tells you we are not all on the same team – & the current government shutdown verifies it. As long as Democrats believe there are some wealthy people whose taxes can still be raised, some foreign governments who will lend the U.S. money, & an available electronic printing press controlled by the Treasury giving orders that are followed by the Federal Reserve they will want to continue to increase spending. With that mindset our problems will never change or be solved - we will just move from one confrontation to another until we have really fallen down the metaphorical flight of stairs that I often write about. Of course the current impasse started with my beloved Tea Party wanting to defund ObamaCare. Now students of the Constitution, of which we have many in this readership, know that James Madison, the Father of the Constitution, wrote in The Federalist No. 58 "(T)his power over the purse may, in fact, be regarded as the most complete & effective weapon with which any constitution can arm the immediate representatives of the people, for obtaining a redress of every grievance . . . ." Sounds like what we have today – ObamaCare is the grievance & the House won't fund it. Indications are that ObamaCare is increasingly unpopular as more & more is learned about it; but the problem is that shutting down the government is even more unpopular & congressional Republicans have historically taken the majority of the blame for government shutdowns – Gallup has Republicans falling to a 28% national favorable rating & Democrats 43% favorable. (This could have an immediate impact in the Virginia governor's race where Ken Cuccinelli could take a hit with the government workers in northern Virginia voting Democrat more so than usual.) Further with 100% certainty BO is not going to see his signature legislative achievement in effect be repealed after Democrats have worked for government controlled healthcare for 80 years & they are still not quite where they want to be – single payer universal healthcare insurance. The shutting down of the discretionary parts of the government (actually only 17% of the total government has been shut down) for which no appropriations have been made has resulted in calls for more & more of these parts of the government to be fully reopened. These calls of outrage are a good indication of how government dependent many Americans are. In this regard Congressman Frelinghuysen has reported that the House has passed 17 free-standing bills to reinstate programs from providing immediate funding for FEMA, to serving 9 million women & young children who need "vital nutrition that poor families might otherwise be unable to afford," to allowing our nation's capital to continue operating using its own funding, to providing compensation of federal employees furloughed due to the shutdown, to ensuring that death benefits to families of fallen troops will continue to be disbursed during the government shutdown. What kind of shutdown is this? With all of the above going against the chances of defunding or even significantly changing ObamaCare any time soon the Tea Party in general & Texas Senator Ted Cruz in particular have vividly brought the problems with ObamaCare to the country's attention much more so than if they just voted present on the CR thereby having it pass without one Republican vote in either chamber of Congress – this still may be the outcome if Boehner brings a clean CR to the House floor for a vote. People are becoming more aware every day how ObamaCare negatively impacts their lives – all per BO's government-dependent design. People 1) are having their hours cut back to below 30 per week so that their employers will not have to provide healthcare insurance under ObamaCare, 2) are finding that what they thought was going to be insurance that covered teeth cleanings & routine eye examinations & getting glasses is really insurance with several thousand dollars of deductibles meaning it is not really what they were hoping for @ all – it is paying something for nothing, 3) are learning that many plans are HMOs meaning that coverage depends on using the plan's approved doctors & hospitals – so much for being able to keep your own doctor, & 4) are concerned that before the technical problems with the computers on the exchanges have been solved they will be exposed to identity theft with all the sensitive private information they have supplied not being securely guarded in what is a hacker's dream. In addition people think it is not fair for businesses to have a one year delay in complying with ObamaCare while individuals must sign up now with no delay. They also resent that members of Congress & their staffs will continue to get their healthcare insurance subsidies because the staffs cannot afford to pay for the insurance - the same unaffordable predicament many other people are in who do not have the congressional type subsidies & must be fully compliant with ObamaCare. See also the account of Ashley Dionne who appeared on the Huckabee TV program on FNC after her FB posting detailing her problems with ObamaCare went viral. BO has Cruz & his followers in a box that he will not let them out of without taking his best shot @ destroying the Republican Party & Tea Party by extension. BO has in effect said he did not know there was anything to negotiate – he has been waiting for Congress to pass a CR that will assign money for the specific purpose of appropriating the 13 departments & agencies that make up the discretionary parts of the federal government that have been authorized by law. BO has a similar seemingly innocent position re the debt ceiling deadline. This does not sound like a totally unreasonable position to the general public – especially those who have be inconvenienced or furloughed by the shutdown. BO & Reid have said they will not negotiate anything until a clean CR is passed & the debt ceiling is raised with no strings attached. 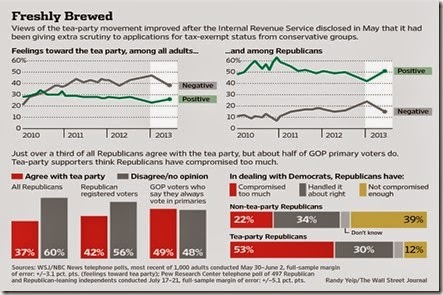 The public blames Cruz, the Tea Party, & the Republicans more than BO. This is the very bad hand Cruz has been dealt. An upcoming RTE post planned within the week will show just how bad the hand is. The successful outcome for those following the Cruz approach is for the above ObamaCare problems, & more, to overtake the concerns of the citizenry more than the 17% government shut down has or the results of a default, if any, tied to failure to raise the debt ceiling that seems inevitable. Based on public opinion so far Cruz & his followers are playing a long shot but ObamaCare is so bad & BO has been so unreasonable (e.g., veterans having to tear down barricades to open air memorials & joggers in national parks being fined $100 for trespassing) that BO has lost some credibility with his approach to make the shutdown as obnoxious as possible – following his same earlier approach regarding the sequester – think cancelling White House tours last spring. Below are the lists of followers of the Cruz approach to defund ObamaCare identified as those senators who signed Mike Lee's letter & congressmen who signed Mark Meadows' letter. The greatest certainty in all of this is the senators & congressmen on the below list think they are representing the will of the majority of their constituents – in fact are probably being encouraged by these constituents. On Tuesday night the NJ Chapter of the AIChE featured their annual event known as the College Bowl. All of the NJ engineering schools in the area were invited to participate by sending three students to answer chemical engineering questions in a friendly competition that results in a generous cash prize for the winners as well as a good chance for all of the students to meet & network with members of the AIChE who have been working in industry for years – an invaluable resource for a new engineer. In short it is always a fun evening. Now for Carol & me it was especially so this year. Shortly after we arrived one of the members of the Chapter asked me if I would be one of two judges for the competition. Although this was totally unexpected I did not hesitate to accept. There was a time keeper, question selector, moderator (emcee), & the two judges. In case of a split decision of the judges the moderator would break the tie. Rutgers won the competition in a very energetic & fearless effort for anyone but especially so for college age juniors & seniors answering questions in front of people much older. When the contest was over I led the applause – & it certainly was for the students but also for the people who run this Chapter, not just this one night every year that I attend, but all year long. A handful of dedicated people trying to make a difference – like so many worthwhile things in life that are fragile & dependent on just a very few. I learned a lot @ this College Bowl – & I don't mean just judging the answers to the questions from the Q&A part of the evening. 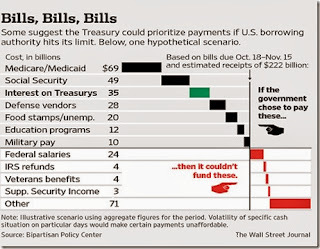 Government Shut Down Begs Question - How Much Government Do We Need Or Want? 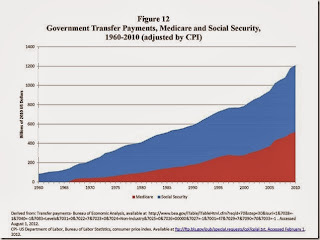 The above graphs provide the starting points for a method to project Social Security outlays & number of beneficiaries in 2040 – just about the time A-Rod reaches his full retirement age. He certainly qualifies to be one of the beneficiaries but even with inflation his retirement benefit will not distort the outlay curve any more than anyone else & his benefit will definitely not be $1 million as the letter-to-the-editor writer states above. Now readers of RTE know that Social Security works just the opposite. Someone like A-Rod will pay the maximum Social Security tax, which is capped, each of his high earning years but will find his monthly benefit @ retirement is not in proportion to the taxes he paid compared to someone who had paid into the system @ poverty level wages. This is true because the Social Security benefit formula is steeply graduated in favor of lower contributions meaning that the program is a partial redistribution of income from beneficiaries who earned high wages to those who earned low wages meaning Social Security is a welfare transfer program. It is hard to believe that the editorial page editor of the local newspaper that published the above letter does not know the above basics about Social Security - so why did he publish such a confusing letter? The media is the second point in the five points necessary for the statists to control the citizenry. The above letter has a class warfare undercurrent to it involving the controversial baseball player – whom statists are hoping people will turn on. With very few exceptions the media works – sometimes subtly – to lead & control the thinking of the poorly discerning public. This is why we need the alternative media like blogs. Once people see the difference & know the way they have been played the onus should be on putting the hostile anti-American media out of business by not supporting them – cancel your subscription or don't watch the channel or listen to the station. Why would anyone want to learn what is happening in the world from such a source? A current excellent example of the dominant portion of the media trying to control people's thinking is when they tell you that "everyone is hurting because of the government shut down." Sounds reasonable, but is it? How much are you hurting because of the shutdown & for those who are inconvenienced how much of it is because BO is working double time to exacerbate any inconvenience like barricading open air monuments? Many people have figured out that the cost of government is oppressive & in their own way started to shut it down long before the start of this fiscal year on October 1. The size of government is not a static condition meaning that it can change – government does not always have to stay the same size or get larger. As an example during the recession & slow growth years of 2008 to 2013 governments reduced their employment with federal government employment alone declining by 65,000 in the twelve months ended June 2013. Who noticed? Does it have to grow back to the previous size? In addition please realize that people move from places like Long Island, New York to Punta Gorda, Florida & in the process have their property taxes reduced from $13,000 per year to just over $2,000 per year while receiving so much more house & amenities in Florida. Florida also has no state income tax. Or consider that in a proactive move the town of Sandy Springs, Georgia, starting in December 2005, privatized virtually every service their town of 100,000 people provided – garbage collection, road maintenance, cleaning parks, sewer, accounting, back office operations, & even the courts. There are only seven people on the City Hall staff. These steps reduced the cost of the Sandy Springs government by 50%. Sandy Springs has no debt or unions. They operate totally in the black. The city charter requires cash operating reserves through which capital projects are paid. Sandy Springs in effect shut down their old government & the residents are all the better for it. The point is that every government should be acting in their taxpaying citizens best interests by adopting principles like Sandy Springs did - namely, providing the services desired in the most cost effective way. The problems start when we lose sight of this by listening to a media that tells us things we do not know to be true – but hopes we will believe it. But back to the editorial page editor who printed the confusing Social Security letter - the other question to consider is what if this editor did not know the above Social Security basics. Once you realize his ineptness it still comes down to why would you want to get your news from him - doesn't it?